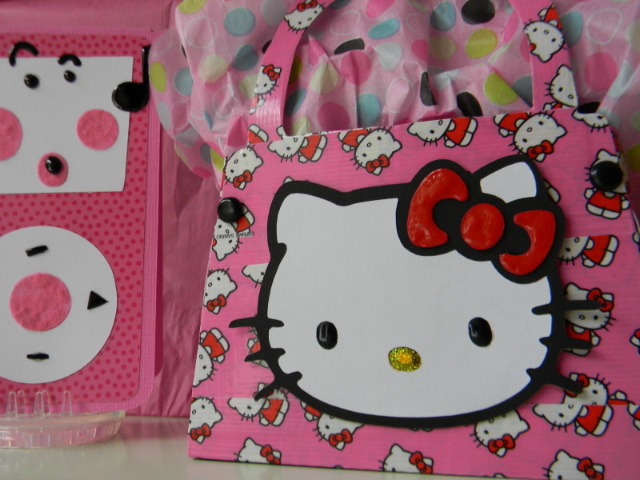 The HK handbag is made from TBBM, covered in HK DUCK TAPE!! 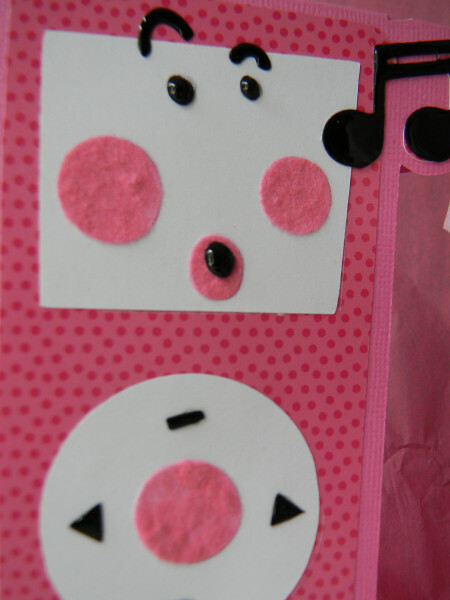 HK face is cut from HK Greetings, and I added some pizazz with Verve Gel and Stickles. 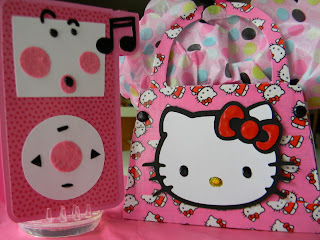 Even the Ipod from Smiley Faces got some Flocking action, and Glossy Accents to make it shine! 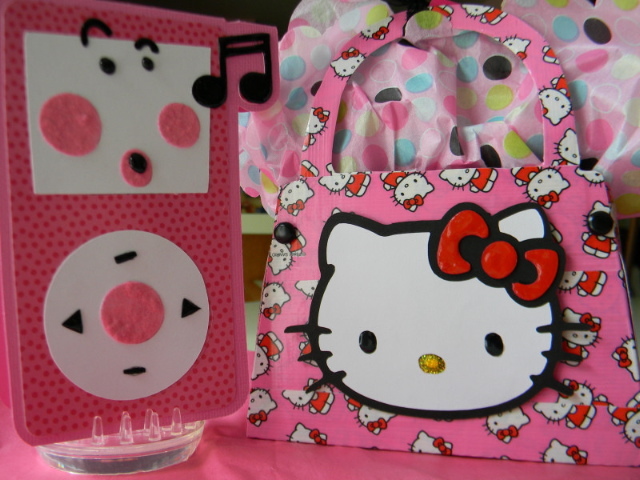 The birthday girl wanted an Itunes gift card, so it went in her little purse and voilá, everyone's happy!